The following piece was written by our newest contributor Veena Vasista, who spent 20 years doing human rights-based policy work in the UK before deciding to step out of that world to explore the process of social change more broadly. We chased her down earlier in the year after she posted an intriguing comment about a talk that Warren gave and have really enjoyed getting to know her and thinking together over the last few months. Albert Einstein is often quoted by people in pursuit of social innovation as demanding a change in thinking to get a change in outcomes. Last year, I used a variation of the first quote in the think piece Our Direction is Our Destination. I was drawn to this dictum in the context of sensing that in talking about a ‘new type of thinking’ Einstein was saying we need to awaken our hearts and minds if we want to create different, healthier ways of living together. When I recently came across Einstein’s explanation of his statement, I felt relieved and excited to discover that indeed he was instructing us to use more than our mind and ego-driven analysis to work through problems. Knowing this, I take it further to imagine that by ‘higher levels’ he meant higher levels of consciousness. Einstein was encouraging us to dive into our selves to question who and how we are being and what we are creating in this world. This, to me, is a steer to not just think through our problems; we have to feel and intuit through them as well. Whilst I was in British central government directing a Commission set up to make recommendations about tackling racial discrimination in the private sector, a colleague complained that I had spoken to her a couple of times in a way that left her feeling bullied. I was mortified; I was behaving in a way that totally contradicted the values I was claiming to be standing up for in my particular role. When I reflected on the exchanges I had with my colleague, I could see why she felt the way she felt – I spoke to her in a tone and manner that was aggressive and disrespectful. I could say that I was being a bully because I myself felt bullied. We had an organizational culture in which it seemed acceptable for people to communicate in aggressive ways. But that would be only one dimension of the story and a way of trying to avoid personal responsibility. At the time of the Commission, I was bringing to work my own battle with low self-esteem that sometimes revealed itself in unconsciously defensive behaviors. Similarly, I could say that our Director’s personality determined our organization’s somewhat aggressive culture. However, it would also be fair to say that the organization’s culture and the Director’s behaviors were heavily influenced by the context of a wider institutional culture that was encouraging all sorts of oppressive behaviors. When I look at this question now, I can see that such a group of people could be very well-placed to come up with solutions that work, because they could draw upon their own experiences to dive deeply into the problem. However, that is not how policy-making works. We – the team setting up the Commission – were not encouraged to collectively explore our own workplace experiences in order to discover wisdom about how to work with business leaders to tackle the challenge of workplace discrimination. Likewise, we didn’t work with the Commission in a way that was geared towards engaging the hearts and minds of its members by tapping into their personal experience. As with many Commissions, this one wanted to be one that would become known for making a difference. 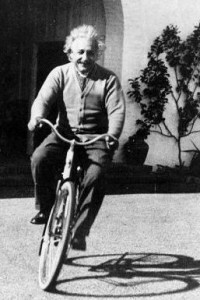 Yet, per Einstein’s observation at the start of this post, we focused on mechanism. Per convention, we sought to think and analyze our way into game-changing recommendations and solutions. We focused on how to use policy-levers to coerce business leaders to engage with the issue and how to provide information about good practice to guide them in their future do-good actions. The majority of the talk was what I would call mind and ego talk. The Commission would be presented with data, case studies, analysis and recommendation proposals and discuss these with a fair degree of detachment and superficiality. So how do hearts and minds come into play? I took my colleague’s accusation of bullying very seriously. Since that time, I’ve been on an intense journey of trying to create paradigm shift in my own life. As I write this piece, I feel comfortable saying that a seismic shift is taking place. What has got me here? I’ve stepped into another level of consciousness. I have had to step into my heart and mind to see what is inside both, what I am giving life to day-in, day-out with my thoughts, words and actions. What are some of my fundamental beliefs and assumptions about my self and my relationship with the creative process that is life? Am I being trusting or defensive? Am I being forgiving and restorative or punitive and crushing? In turn, this awareness has translated into action – changes in who and how I am being. For example, I began to shift from a mindset of scarcity into a mindset of abundance. I stopped viewing the world around me through the prism of ‘us’ and ‘them’. I began to ground myself in a sense of interconnectedness. I started to find the courage to say “I am being dishonest with myself.” I expanded my creative possibilities by becoming open to insights that come from a place outside data-driven rational thought: intuition. My relationship with my self began to change. My relationships with others began to change. My relationship with the creative process that is life began to change. What’s alive in our hearts and minds is what drives us to create and perpetuate many of our problems. It is also what drives us to create ways of living together that are restorative and nurturing. Nudged by Einstein, I’m inclined to think that the path I (and many others) have had to walk, in order to create personal paradigm shift, is instructive to organizational development and social change more widely. What if, for example, my colleague’s complaint about my bullish behavior had opened up a conversation in the organization about fundamental assumptions and norms driving our behaviors, choices and even our perceptions of what we see as the significant problems in how we work together? In what ways could we have guided the Commissioners addressing workplace discrimination to step into their hearts and minds en route to getting to a higher level of consciousness – individually and collectively? An individual and collective journey of stepping into greater emotional, intellectual and intuitive awareness is what I take to be at the heart of Einstein’s approach to problem-solving. This journey is what leads to paradigm-shifts and game changing. When these happen, we start to be and create differently. We also begin to unleash our own brilliance. That said, I am convinced Einstein was talking about more than mere problem-solving in order to survive. I think he shared – as I do – Organization Unbound’s passion for moving beyond the science of ‘fixing things’ and into the art of creating transformation. Nurturing transformation comes from shifts in consciousness, from stepping into Einstein’s ‘higher levels.’ Einstein has invited us all (his narrow reference to ‘men’ is merely a sign of his times) to look in the mirror and be willing to open our selves up for internal movement – an opening and expansion of our hearts and minds – while we embark on the journey of creating shifts in the world around us.